Always a classic look, always a good go-to when you have nothing to wear and always one of my favorite patterns to style. To me, stripes are a year round trend that never go out of season. 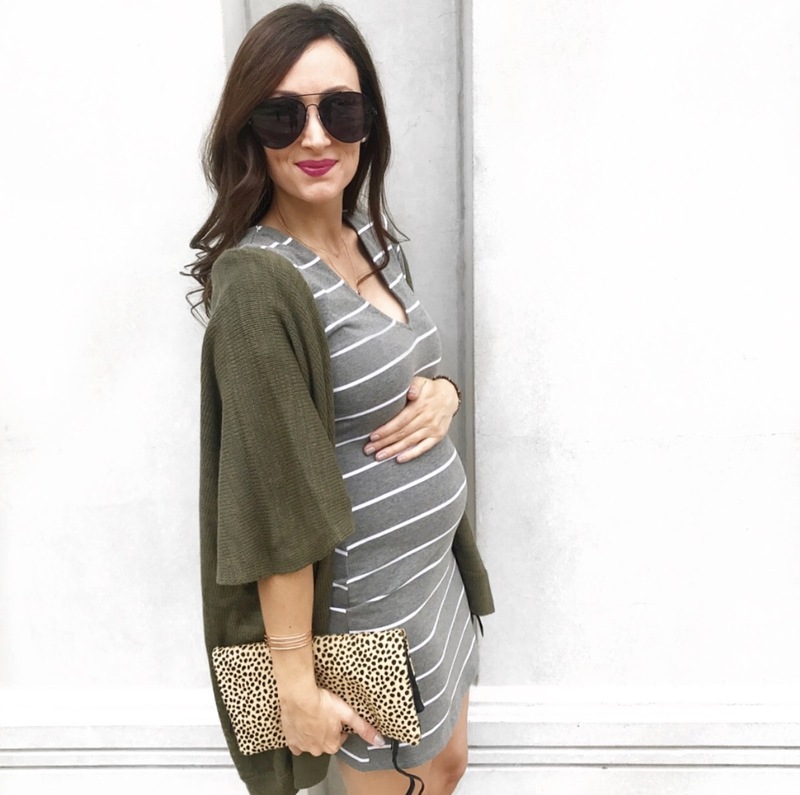 When Tobi sent me this simple striped grey dress, I knew that it would be on repeat in my closet even during my pregnancy. Check out that bump! It’s really there! Honestly though, a basic striped dress is considered a closet staple in my book, pregnant or not. One of my favorite ways to wear a striped dress is exactly how I styled it here, with a cardigan. 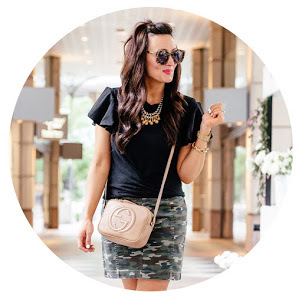 It’s the perfect transitional outfit as the weather isn’t too cold yet but the season is moving closer to fall. 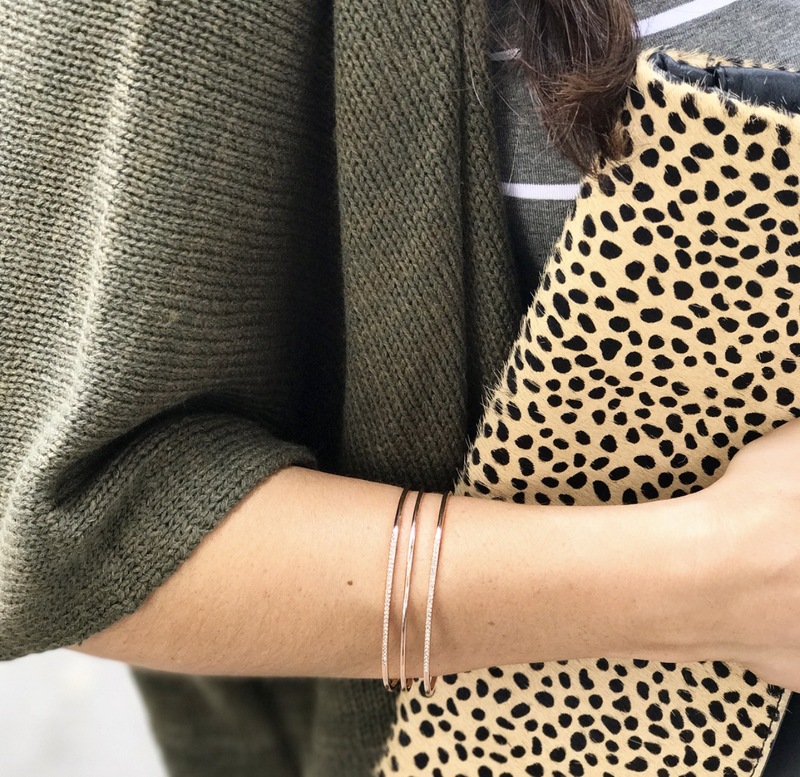 Did you miss out last season on this adorable leopard clutch?! Well, I’ve got good news for you! It’s BACK! A classic leopard print genuine leather bag that is perfect for fall. This is one of those bags that is worth the splurge because leopard is another pattern that keeps trending every year – a classic style! I shared these comfy mules on my last post with Target shoes here and wasn’t lying when I said I will be wearing these beauties ALL fall long. The taupe color matches with everything and they are so easy to slip on & wear daily. Did I mention that they are under $35?! Are you digging through your closet yet to find a striped dress? Well, if you don’t have one, add it to your capsule wardrobe. It’s necessary. Pair it with a cardigan for the weekend, a blazer for work, or a cute peacoat and scarf for a fall night out. 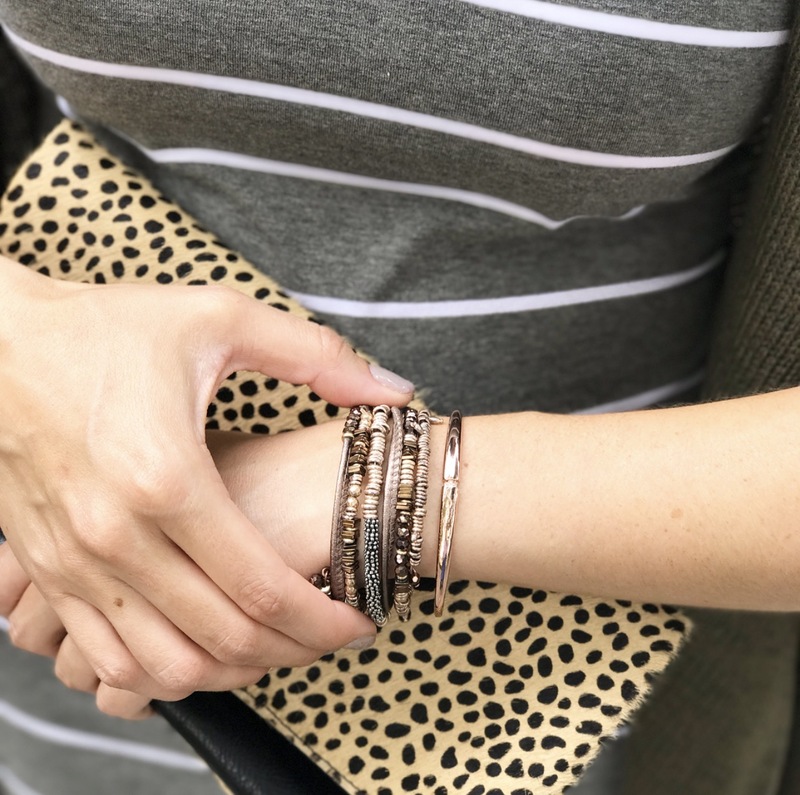 A great staple piece for all seasons! I’m currently in New York at Fashion Week (eeek!) so make sure you are following me on Instagram (@ashdonielle) to see all the details!